2. Meet with the Asia Floor Wage Women’s Leadership Committee in the next three months to discuss the supply chain findings and next steps. 3. Proactively work with the Asia Floor Wage Alliance to pilot women’s committees in factories that eliminate gender based violence and discrimination from the supplier factories. 4.3 Meet with KOOGU to discuss the original three demands: inclusion of an elected worker on the factory health committee to address the quality of water available to workers at the factory, irregular transportation to the factory, and payments below living wages. Garment workers deserve a safe workplace free from gender based violence and consumers don’t want clothes tainted with exploitation and violence. 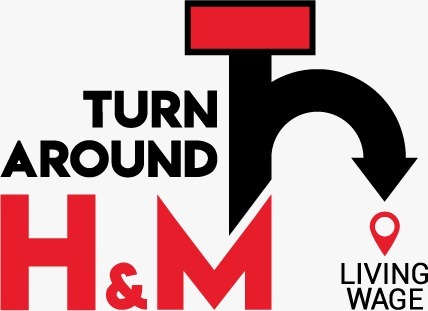 As the world’s largest private employer, H&M has the power to influence other companies and governments by setting the international industry wide standard that gender based violence in the workplace will not be tolerated.